And not a moment too soon. This winter has been too long, especially in the east. Even though Southern Arizona’s temperatures are running 7 to 10° above average, (see: http://www.dailykos.com/story/2015/03/21/1372266/-Cartoon-Animal-Nuz-243-Climate-Hope-Edition) I’m glad to have moved my sweaters to a less accessible place in our little casita. The heat has also brought spring in an early rush. The fig trees have burst open leaves. Our patio poppies (volunteers from last year) are lush with golden orange flowers. The ocotillo are wrapped in their green cellophane-like leaves and their red bud tips are already providing food for verdants and goldfinches. Our ocotillo provided cover for a clay pot in which ground doves built a nest. The fledgings (2?3?) left yesterday. All that remains is an untidy mix of twigs, feathers and bird droppings. Yesterday’s Spring Equinox was a triple treat. Besides the arrival of spring parts of the globe were treated to a full solar eclipse as well as super big moons as it comes closest to the earth for the year. 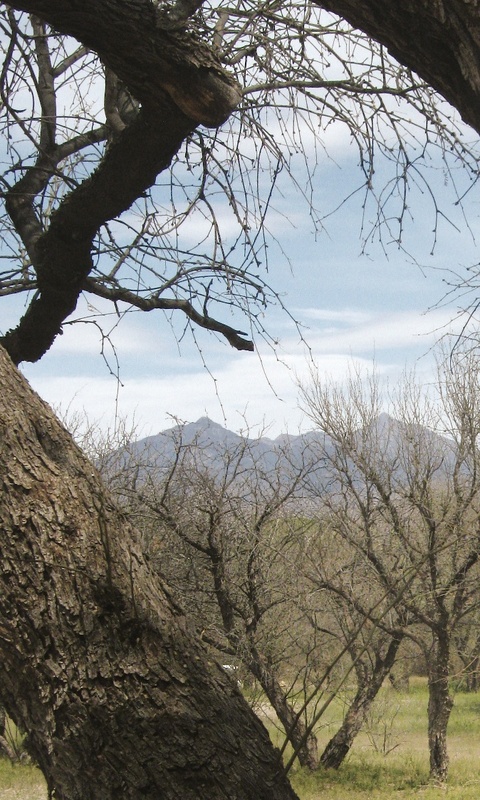 It’s been a dry 2014 here in the Sonoran Desert, about 0.6 inches of rain. Annual amounts for January through May average about 3.3 inches. So less than 20% of the average rainfall for the first five months of the year. We’ve had one true rain since we arrived in late December. It’s been hot as blazes the last few days as well, over 100° yesterday. Forecast today was 104° with a front moving through. It was 80° at 5:00 am. But even though the humidity just before dawn was less than 20%, clouds filled the sky and the weather forecasters, ever optimistic in the desert, gave it a 20% chance of rain. By mid-morning we smelled it—the unique clean dry(?) smell of wettening creosote. Yes! It was raining somewhere within our aromascape. We waited expectantly. I felt a few drops as I ran to close the car windows. Then…nothing. The desert is a harsh mistress. But nothing caps that amazing smell of desert rain. No matter where it might have fallen. Beauty is not a word one associates with contemporary art and literature. In fact, beauty is something of a pariah in esthetics generally. The ugly the grotesque the brutal the bizarre have cache. If art follows life, it does seem quaint to talk about beauty in this age of political upheaval, cultural relativism, raging consumerism, rampant technology, environmental tragedy. 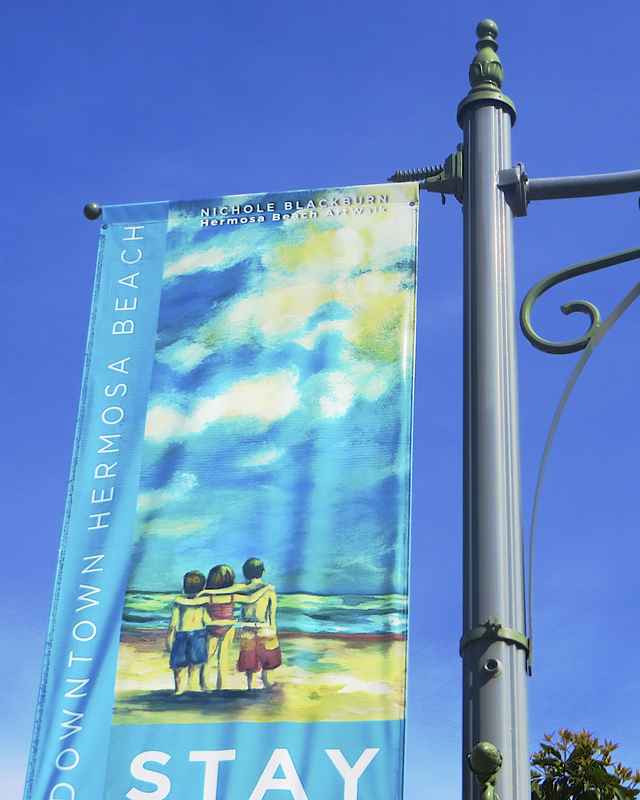 But—democratically speaking—is not beauty in the eye of the beholder? The great nineteenth century lyric poet John Keats gave beauty its most ethereal meaning, “Beauty is truth, truth beauty”. Finally, art is said to mirror nature. Nature can certainly be brutal, cruel, ugly, in human terms. But in the eyes of many, nature is also full of beauty, plain and simple beauty. In fact the kind of beauty that also attracts insects and birds, no strings attached. A beauty that is beyond ecology, beyond human construct. Well, maybe within a human construct that opens our minds to an infinity of mental mirrors reflecting our long evolutionary inheritance, emerging as we did as a species when the only truth was nature. 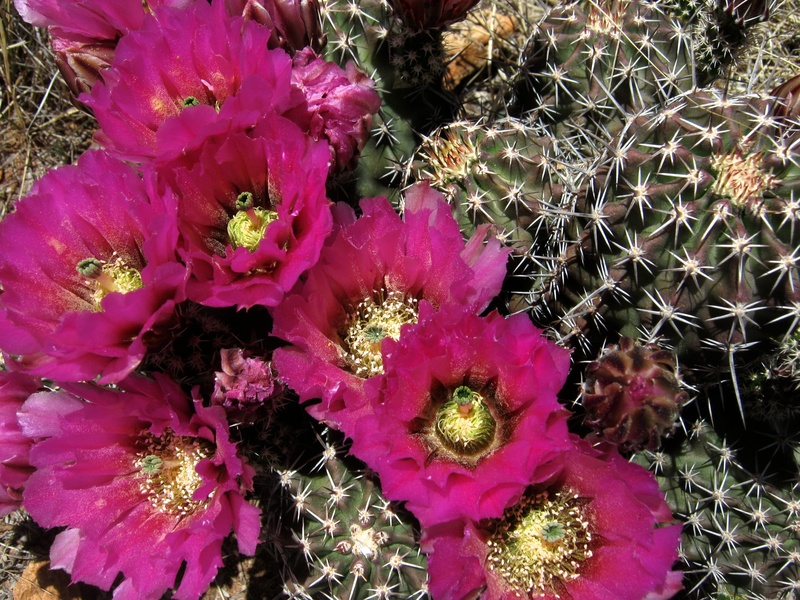 Besides some phenomenal birding, the last few weeks have heralded the beginning of the Sonoran desert’s cactus blooming season. The median strip of La Cañada, our main north/south drag, has been awash in lovely pink beavertail prickly pear plantings, so amazing as to make me wonder if the oddball accident I saw last week wasn’t caused by a driver attempting to simultaneously drive and take a picture. 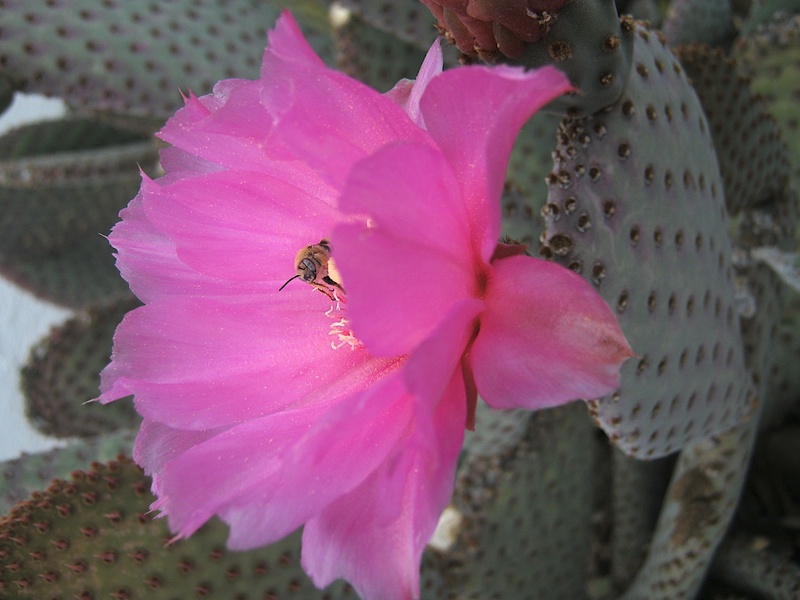 Our neighborhood has a wonderful cactus garden which has come spectacularly into its own, mostly with horticultural varieties of Argentinian Trichocereus whose stems are covered with blooms ranging from scarlet to apricot to yellow to white. I wonder: How do these Argentinians recognize it’s spring and time to bloom on the opposite side of the equator? Another botanical mystery. Still to me, most impressive really are the shows the local species put on as they go about their business of welcoming this Sonoran desert spring. 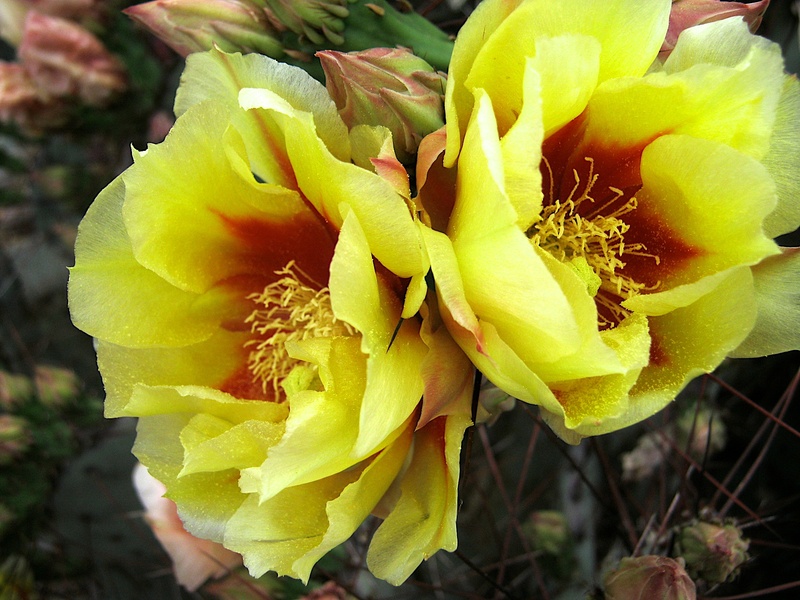 Our Santa Rita prickly pear are covered with bursting chartreuse blossoms, some yellow with red interior lines. Beavertail pinks peek out from beneath yellow blossom-covered creosote. Pink and red hedgehogs hide behind rock outcrops. Ocotillo are tipped with orange-red tassels, great forage for hummingbirds and tiny yellow verdins. On a birding expedition last week to Buenos Aires National Wildlife we spotted a tiny cluster of rainbow mammillaria.